PARIS (AP) — The sweet smell of lavender is tinged with bitterness this year in the south of France, as farmers who harvest the flower protest European regulations linking the plant to chemical toxins. 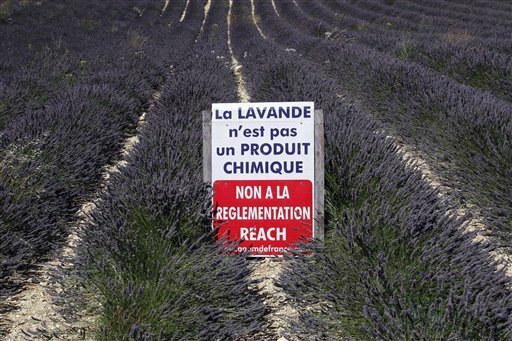 Billboards proclaiming “Lavender is not a chemical” dot fields that yield what in Provence is known as blue gold — lavender oil, worth over 100 euros a kilogram ($60 a pound). The plant is cultivated by around 1,500 producers, representing 30,000 full-time jobs that include catering to the millions of tourists in the south of France who come for the panoramic views of purple fields. For many, Provence is synonymous with lavender, both fine lavender — used for perfumes, cosmetics and aromatherapy — and hybrid lavender, called lavandin. Lavandin is cheapest and used to scent soaps, detergents and air fresheners. Producers say the rules are too extreme — they note that lavender oil allergies usually produce only rashes — and too expensive for small farmers. Lavender producers are now fighting “to survive,” said Francis Vidal, honorary president of APAL, an organization of lavender essential oil producers. In addition to the billboards, the group has organized an online petition, signed by over 15,000 people. “The consequence of this ruling, in the very short term, would be the ruin of our plantations and the disappearance of lavender from our Provencal countryside,” APAL wrote in a letter sent to President Francois Hollande and other politicians. Advocates point out that lavender oil was used as an antiseptic until the beginning of the 20th century, and even today is prized for its healing and calming properties. Even the European Commission acknowledges that any substance whose contents depend on the amount of sun it receives and the kind of soil it springs from is difficult to classify as a chemical product. “Natural substances whose composition is variable require more effort and expertise in order to be registered compared to ‘classical’ industrial chemicals. 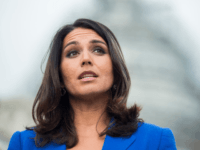 Other products subject to natural variations, like wine for example, aren’t covered by the chemicals directive but are governed by the relevant food safety and sanitary rules,” the commission said in a document provided to the AP. EU authorities met with lavender producers in April and are now working on ways to help producers to conform to the law. Proposals are to be made this autumn, according to the commission document. But producers claim lavender oil should simply be reclassified under agricultural products. French producers don’t oppose mentioning a potential allergy risk on their product, Vidal said, but they are adamantly against the kinds of dire labels that can be found on chemicals used in industrial processes, such as hydrochloric acid or cleaning products. “There is a risk being linked to a chemical, and can lead to confusion for consumers,” said Emilie Zamora, in charge of communication for the PPAM, the union of producers of perfume, aromatic and medicinal plants. In addition, producers would themselves be responsible for carrying out the chemical analysis. Many are small farmers who couldn’t afford the expensive procedure, Vidal said. Lavender farmers have received support from Raymond Chaillan, a French perfume creator whose nose helped create the scents for Opium, Anaïs Anaïs and Parfum d’Hermes. Juergen Baetz in Brussels and Claude Paris in Sederon, France contributed to the story.